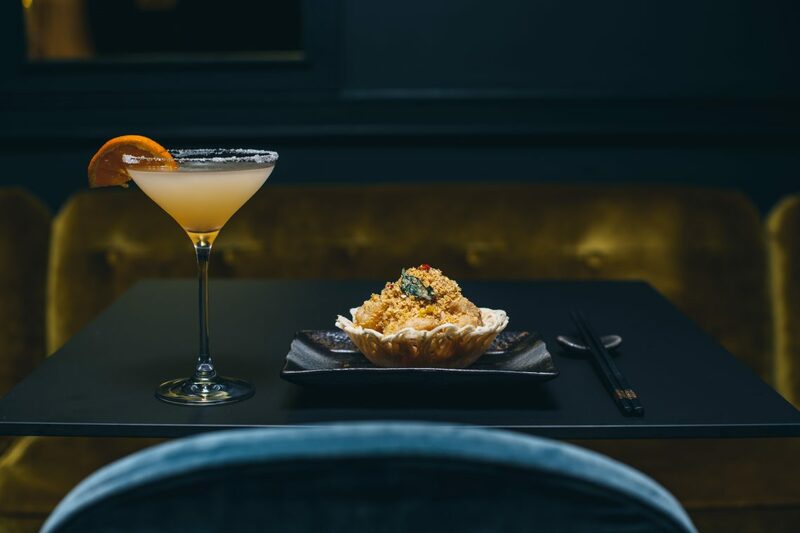 If you’ll excuse a couple of bits of generalisation, Asian dining in London is a tale of extremes. Let’s start with the first generalisation; yes, I am lumping Chinese, Thai, Korean, Indian, Japanese and all points in-between and neighbouring to make my point. As for the second one … Every postcode in the capital probably has at least one of the above options and, more likely, several. 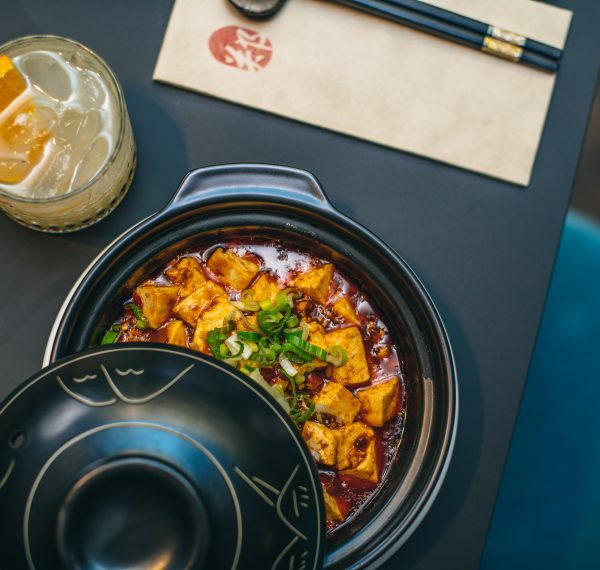 The best food, however, is typically found at the extremes – the cheap-and-cheerful, the very upmarket – rather than in the middling mid-range. I’m thinking places like The Heron off the Edgware Road, Silk Road in Camberwell, A Wong in Pimlico… I’d give an example of the middling options in my bit of North London but, frankly, I can’t even remember the names without going to the drawer to find a takeaway menu! All of that is a long-winded way of saying that Zheng, a Chelsea-based Malaysian, is keeping my theory alive. 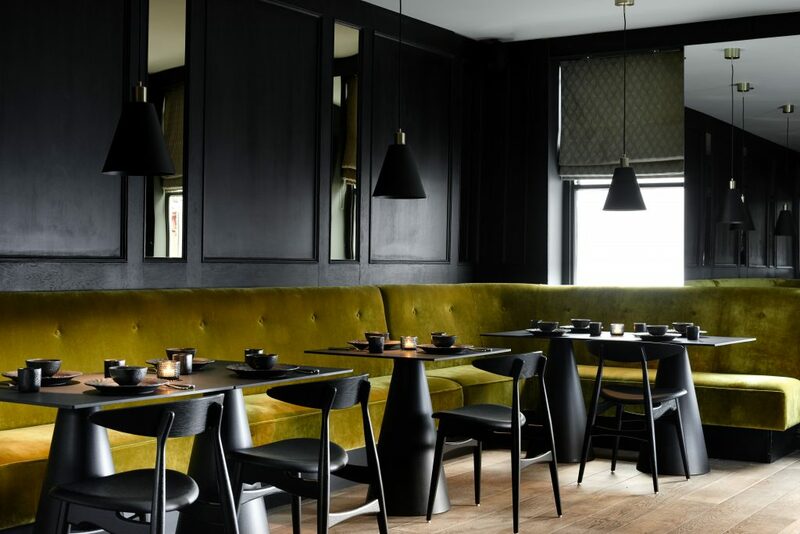 It’s their second branch – the “original” is in Oxford and, apparently, very good it is too: Giles Coren even went as far as declaring it his restaurant of the year in 2015. I’m not sure I’m going to heap the same kind of hyperbole on the London outpost at this point but ask me again in December because: a) that’s when I start looking at that kind of list; and b) there’s a very reasonable chance Zheng will feature somewhere because it’s very, very good indeed. As we walk from the tube, my wife is speculating over a previous 1980’s incarnation of the Sydney Street address. 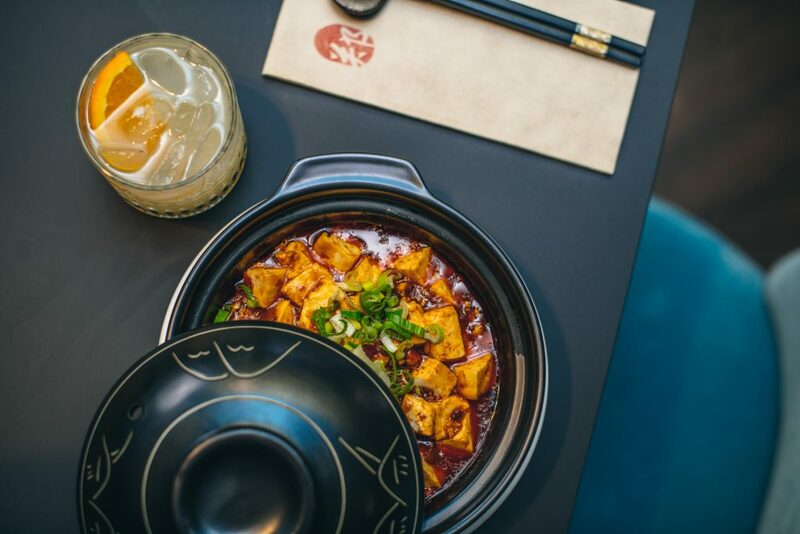 “I think I had my first ever ‘pan-Asian’ meal there,” she explains. As we turn the corner, she laughs. “Yes!” she declares. “That’s the place!” although, between then and now, it’s had more than a lick of paint and a change of name. The room feels somewhat subdued but, actually, as it fills up, its revealed to be a masterpiece of noise-absorption, with even a large party of around 16 remaining seen but mostly not heard. 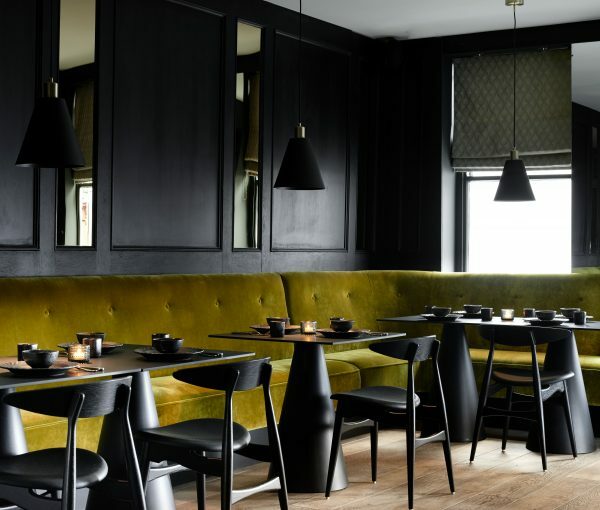 Style wise, it’s very slick – matt black tables, dark wood, mirrors, silky wall paper – but its stylish heart is charmingly tempered by the genuine enthusiasm of the staff, who are quick with recommendations and explanations of the menu. 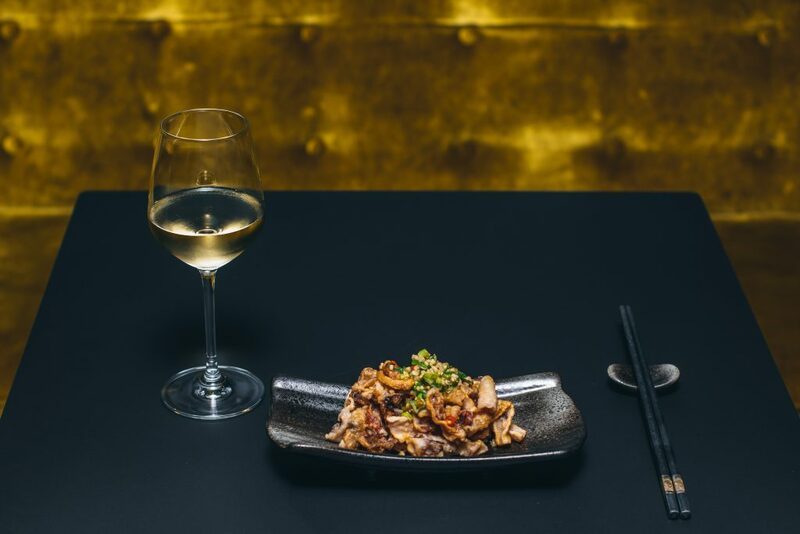 From the “chilli, salt and pepper” section of the appetiser menu, we opt for squid, plus four grilled duck dumplings from the “dim sum” page and – almost inevitably – the chicken satay. 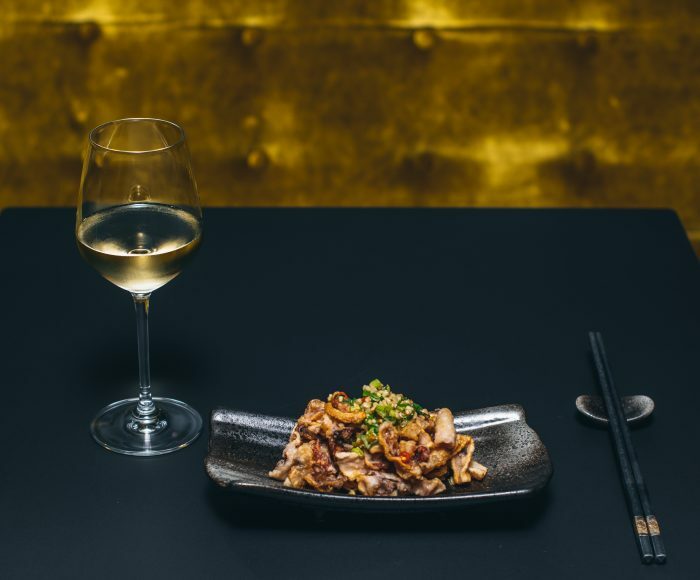 The latter is decent, but eclipsed by the dumplings – paper thin, crisp, richly meaty – and the crunchy, punchy joys of the squid. 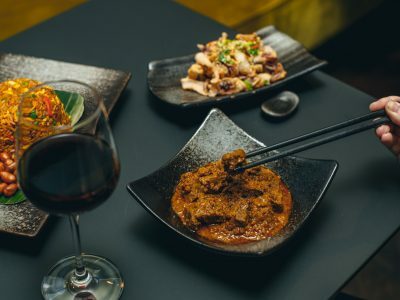 Staff enthusiasm almost leads to over-ordering but, at their advice, we scale back a little to one main course – Crispy Cereal King Prawns – one rice plate – Nasi Lemak – and two vegetable dishes: Okra Belacan and Stewed Aubergines with chillies. After the nostalgia of the “pan-Asian” memory, our conversation has been dotted with other food memories of that era. It turns out to be appropriate as the cereal prawns reminds me – in a very good way – of Golden Nuggets. There’s a honey sweetness that sits well with the fleshy, clean meat of the prawn. Even so, it’s not our favourite dish of the evening, which is a toss up between the Nasi Lemak and the Aubergine and the Okra. The latter is a vegetable I’ve never really understood but here, good heavens, there’s no sliminess, just a pleasing bitterness, good heat and a remarkable addictive quality. The aubergines are also good – well spiced and cooked just to the point of softness not mush. The Nasi Lemak is, according to the menu, popular with Malaysians for breakfast, lunch or dinner. These Malaysians are not wrong. 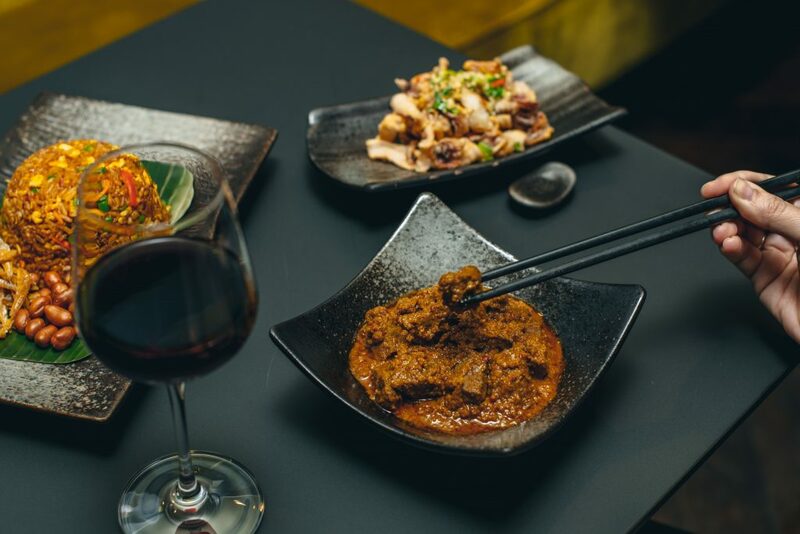 The accompanying chicken Rendang is an unctuous, tender joy, the peanuts and anchovies give saltiness and crunch, while the sambal brings the subtle heat. A crisp buttery roti canai is ordered as, basically, buttery, more sophisticated moppy-up bread, while a short but efficient drinks list provides suitable accompaniments to the entire meal, from the Malaysian-inspired cocktails (a sharply enjoyable Pomelo Margarita and a refreshing Star Fruit Mojito) to the crisp, cool glasses of Vinho Verde. Value is good – doubly so for the postcode – staff are lovely, and, as talk of nostalgia gives way to reliving the meal on the tube home, we find it very hard to find fault. I suspect we’ll return and, in a city of new openings every day (and a job that pretty much necessitates ticking most of those off), a likely return is some of the highest praise I can give.